Nowadays Exapro represent an increasingly strategic tool for those companies, reseller or professional end users who want to sell or buy used machine tools in a fair and effective easy way. Through the help of our professional, multilingual and experienced agents, Exapro gives them the opportunity to sell their used machines all over the world. To support this business need Exapro provides a very well organized website where you can easily look for the machine tool you need and then our agents will help you to manage and optimize the entire process of buying and selling. But now let’s see how easy it is in fact to start cooperating with us. The process of selling your machine-tools is quite simple. We ask you to describe in principle through a simple email or directly through our website the machine or machines you want to sell: name of the manufacturer, model, type, technical details, year and your price. All the information that you provide to us may be accompanied by some pictures. This will help us to let potential buyers understanding a little bit more about your machines in order to proceed into the next step of the purchase. If the machine fits the buyer’s need, and he seems to be really interested on purchasing it, we will proceed by giving you the buyer’s contact details and we will help and assist you for the whole process, organizing the inspection, logistics, communication and purchase. For instance let’s see how does it work for real having as example a machine tool of an end user who decide to advertise his machine on our website. Since the fact nowadays the most used machine tools sold through our services are Lathe, Machining Center and Milling Machines with CNC, let´s see how to advertize a used MORI SEIKI RL 253 Cnc lathe (right now on sale on exapro.com). Let’s know see how Mr. Diego could add his Mori Seiki on our website to sell it. Mr. Diego can advertise his used machine online by himself and add the machine for free, or he can call one of our agent, or just e-mail us. Once you have forwarded us these few details, your machine will visible all over the World on our website: www.exapro.com. It will be part of our catalogue which is visited each month by more than 300 000 professional users from all around the world. 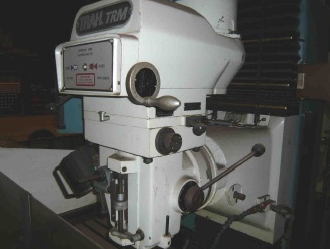 We will select for you only the best potential buyers,only those who are really interested on buying your used machine tool. Are you interested in used machines? Enter your email below and receive email notifications for the best machines we have for sale.